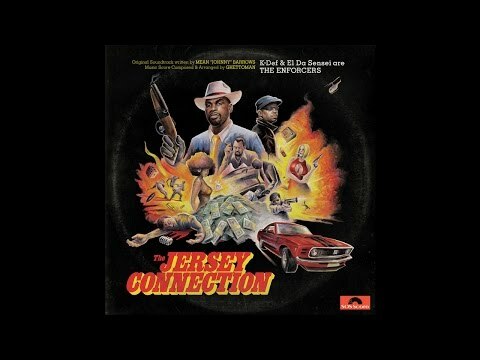 Slice Of Spice is proud to present the previously unreleased El Da Sensei and K-Def collaboration, "The Jersey Connection", released in conjunction with Ghettoman Beats. This album was sat in the archives for nearly a decade, but is finally getting the release it deserves. El Da Sensei is Mean "Johnny" Barrows and K-Def is Ghettoman in this gritty New Jersey soundtrack. These two combine as 'The Enforcers' taking down anyone who gets in their way on a mission to give you what you need...quality hip hop! No soundtrack is complete without quality art and this doesn't disappoint with an incredible cover illustration by Fred Whyte.